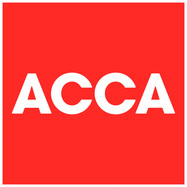 Brooks and Co is a highly-trusted, independent accountancy firm. We provide bespoke tax advice and accounting services to owner-managed businesses, entrepreneurs, start-ups and large companies across the county and beyond. Make your business more profitable and maximise any tax savings? Create and maintain a healthy cash flow with accurate financial projections? Upgrade your accounting processes to a cloud-based system, such as Xero? Save time and resources when it comes to payroll processes and calculations? Speak to a proactive accountant throughout the year, not just at year-end? Come and meet us at our office in Blaby. We enjoy meeting business owners, entrepreneurs, large companies and individuals who are looking to get the most out of their accountants. We can advise you on suitable ways to maximise your tax savings and maintain a healthy cash flow. 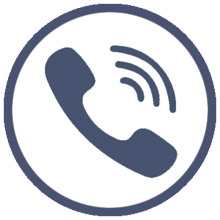 Why not call our team on 0116 277 7255 for a free no obligation chat? Email with your enquiry and we'll get right back to you. Every business is different, so your accounting should be tailored to your exact needs. Many businesses fail when they lose control of their cash flow, and lack clarity when it comes to spotting the products and services that generate real profit rather than loss. By managing your financials on a monthly basis, you can plan ahead and be reactive to change. At Brooks & Co, our sole focus is on you and your business. We will help you manage your cash flow, create accurate financial forecasts, and implement effective financial processes and accounting systems. Our personal and professional approach ensures that your needs are met throughout the year, so you can focus on running your business. If you are looking for an accountancy firm that goes far beyond your expectations, then visit our Services page, call 0116 277 7255 or contact us today.